The California Board of Pharmacy regulates and disciplines pharmacists who are convicted of DUI and related offenses under the umbrella of the Department of Consumer Affairs. 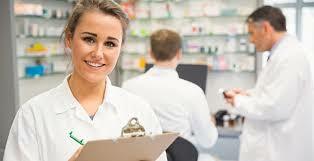 Discipline of pharmacists is governed under the California Business and Professions Code Sections 4300 et. seq. (l) The conviction of a crime substantially related to the qualifications, functions, and duties of a licensee under this chapter. The Board may inquire into the circumstances surrounding the commission of the crime, in order to fix the degree of discipline or, in the case of a conviction not involving controlled substances or dangerous drugs, to determine if the conviction is of an offense substantially related to the qualifications, functions, and duties of a licensee under this chapter. A plea or verdict of guilty or a conviction following a plea of nolo contendere is deemed to be a conviction within the meaning of this provision. The board may take action when the time for appeal has elapsed, or the judgment of conviction has been affirmed on appeal or when an order granting probation is made suspending the imposition of sentence, irrespective of a subsequent order under Section 1203.4 of the Penal Code allowing the person to withdraw his or her plea of guilty and to enter a plea of not guilty, or setting aside the verdict of guilty, or dismissing the accusation, information, or indictment. In order for the conviction to trigger discipline, it must be substantially related to the qualifications, functions or duties of the pharmacist pursuant to Bus. & Prof. Code §4301(l). The question of what is substantially related has become a major issues with all professional discipline including Pharmacists since the decision in Sulla v. Board of Nursing (2012) 105 Cal.App.4th 1195 and will be decided on a case by case basis. A Pharmacist convicted of driving while under the influence of drugs or the combined influence of drugs and alcohol will certainly be looking at a substantial investigation by the Board. Multiple offenders and Pharmacists with a history of substance abuse are also candidates for greater disciplinary investigation than a 1st time offender with no aggravating circumstances. The DUI Lawyers of the Law Office of Barry T. Simons have the experience, knowledge and expertise to negotiate the road that lies ahead for pharmacists charged with driving under the influence. If you are a pharmacist facing a charge for driving under the influence (DUI), and have concerns about the effects of a conviction for DUI on your Pharmacist’s License, then look no further than the Law Office of Barry T. Simons to represent you. Call today for a free, no-cost, DUI consultation and case evaluation.